"Work crew started operating the pump around 10:38 am. At 11:50 am, they found water was spilling from the manhole on top of the tank," the spokesman said. "The water itself was rain water. 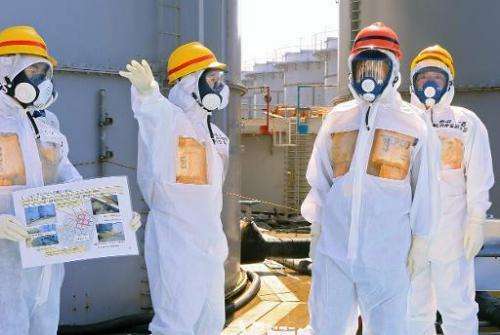 But it was from the Fukushima Daiichi nuclear plant and could contain radioactive materials," he said, adding: "The water seeped into the ground". Gee, I hope they build one in my neighborhood!